Hmmm do I count all the things I have acquired since being paid on the 27th?? Honestly you would think that I had a lot more money than I do. I was one of those mildly mad people who were waiting in an online queue for the Irregular Choice Star Wars 2nd release of shoes, I got some and I will show them next month. I only got one item of clothing during May and that was using the remaining money on the gift card that my sister kindly got me for my birthday in January. I was sensible and realised how often I was reaching for my trusty Braintree black leggings so bought another pair. I knew that these fitted perfectly in a size 12 and are lovely soft bamboo material, maybe in the future I may try to make my own leggings but that is further down the line. I also really like buying basics from somewhere like Braintree as many of their dresses and tops are not very my style, lovely as they are. They also have great underwear, tights and socks – I will be buying another pair of tights for winter I reckon, my chevron ones served me very well last winter and were super cosy. I also bought a dress from the lovely vintage inspired brand Tara Starlet, everything they sell is made in the UK which is great. 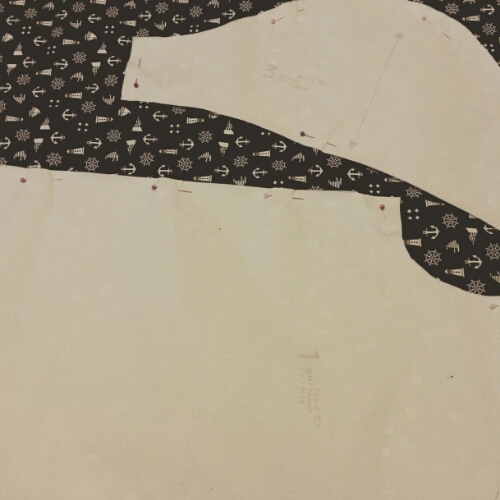 I bought the petrol blue Peggy dress and the construction and fabric were lovely. Unfortunately a few too many cakes and my lack of exercise due to this ‘itis’ that is still hanging about has meant that I am a bit bigger than usual and so my normal size didn’t fit. I toyed with the idea of buying a size up as this was meant to be for a friends’ wedding but really I know that I will lose this extra weight. In fact currently I am cutting back on my cake and crisps in an attempt to help this while I can’t burn off my calories. So I returned it, I would definitely order from Tara Starlet again and currently everything in their sale section is under £20. Finally I also bought a few things for the sewing machine, namely a walking foot, ball point needles and a twin needle. 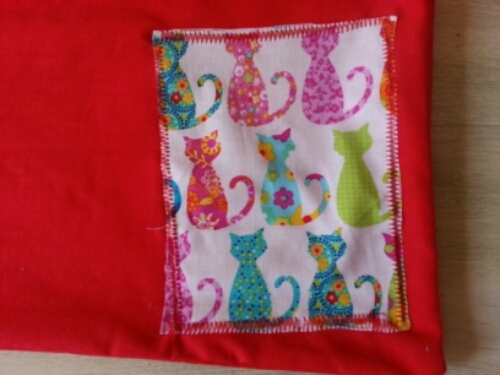 I have been using these in my sewing class to sew with jersey on my ‘normal’ machine, I did pay a fair bit for my walking foot which I know I could have got a cheaper version on eBay but I really want to sew more with jersey so thought I would just go for it. After I bought these pieces, I was able to sew bits and pieces of my dress at home which helped me spend longer on the trickier parts in class. I will do a full post on my finished dress but I have to say I am pretty pleased and getting more chuffed with it as the days go on. After a couple of years of resolving to post outfit pictures I finally manage to post some. These pictures were taken while we were on holiday last week. We started the week with blue skies in Glencoe and ended the week on the Isle of Mull with grey skies and a chill in the air. Chop dealt with the ferry and staying in the motorhome really well, he barked at the clear, starlit, inky black sky in Glencoe – it looks like he is a true city dog now. Leith has changed him 🙂 We did lots of walking but no skiing for me as I’m still unable to run or cycle due to this lingering virus (3 months and counting). This outfit is typical for me at the moment and I feel really comfortable and like myself in it. I have chosen to end my participation in ‘no new clothes for a year’ challenge. I started in September and slipped up three times before stopping fully in early March. I had my own reasons for joining the challenge as I already know a lot about the clothing industry and luckily I can choose where to shop and can avoid fast fashion brands choosing to shop 2nd hand first and with brands whose ethics I agree with. I also still like to support local companies and my love of Finisterre shows no signs of abating! I found the challenge was making me miserable. Many of my clothes didn’t feel like me. I felt uncomfortable in them and just wanted to have a clear out. 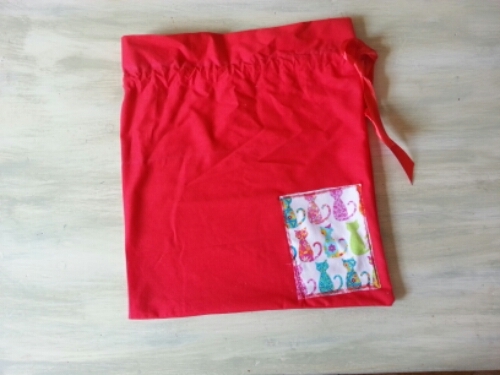 My taste outstrips my sewing skills and ability, I don’t want to end up getting frustrated and giving up sewing when I can’t make the things I would like. This made me revise my idea that I could make what I needed to fill any gaps in my wardrobe! My black trousers were wearing out, the jeans I have I don’t particularly like and many pieces simply don’t fit in with my lifestyle. I also discovered through the Facebook group that most other people on the challenge were really enjoying it, I found myself constantly window shopping and I felt like a failure. That was until I chatted with Katie from Sustainability in Style the original creator of this challenge. She told me to go back and look at my original reasons for doing the challenge – had I achieved them? Do you know what I feel I have, I have definitely worked out my style. These outfits are my casual go to style. Now I accept that I want to replace the jeans as they aren’t the best but that can wait – I’m now working on stopping the cycle of payday spending but without any new challenges instead just step by step. First up a big clear out is taking place, not only in my wardrobe but in the whole flat – don’t worry the puppy stays though. On the ferry to Mull. Hat knitted by me, Seafolly jacket by Seasalt. 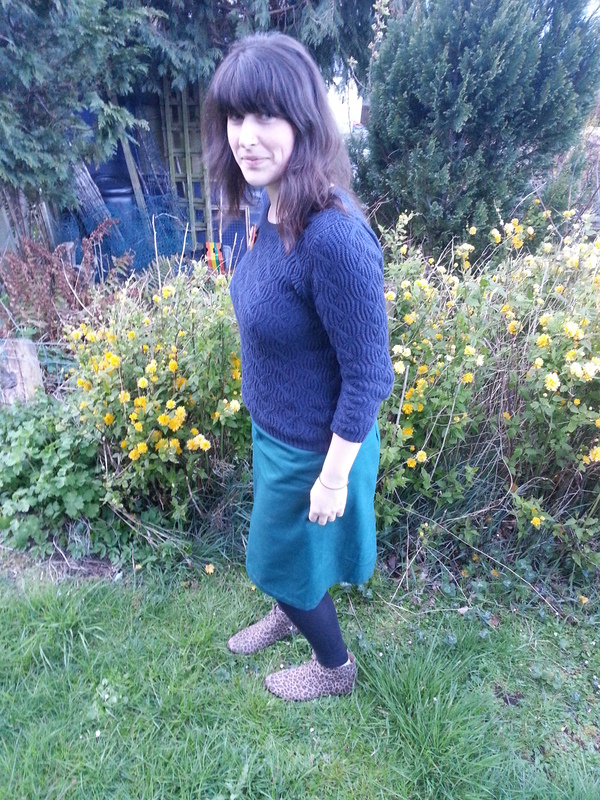 Author theInelegantHorseRiderPosted on May 1, 2015 June 14, 2015 Categories ethical fashion, Ethical Style, family, learning to sew, Style, Sustainable fashion, Sustainable Style10 Comments on I Made a Skirt! It was wonderful on Friday to see my Twitter, Instagram and Bloglovin’ feeds fill up with pictures, tweets and posts about Fashion Revolution Day.